Sometimes doing just one pose can set you up for the whole day. Let’s look at Trikonasana (Triangle Pose) and a powerful cue for stabilizing your pelvis and lumbar. Understanding tips like this one also sharpens your knowledge of anatomical and biomechanical principles. The principle at work here is that of muscle co-contraction. This cue co-contracts or activates two separate muscles, namely, the psoas and quadriceps of the forward leg. As a consequence, you will feel a deep stability in your hip joint and a connection from your leg to your lumbar spine. Extend your forward leg knee by contracting the quadriceps. At the same time, press down with your torso through the arm into the hand, and onto your shin. This activates your psoas (and iliacus), tilting the pelvis over the forward leg and, by lumbopelvic rhythm, drawing the lumbar out of hyperflexion. Feel how this connection stabilizes your pelvis and lumbar and awakens the forward leg in the pose. In the beginning, it may be difficult to get the hang of activating your psoas. Get a feel for this by bending your knee and pressing down on your thigh through your elbow as shown here. I hope you enjoy this cue. Think about what's happening biomechanically while you work with this. More on the lumbar spine from Ray Long M.D. and YogaUOnline - How Tight Hamstrings Can Affect the Lumbar Spine in Yoga. More anatomy & yoga practice tips from Ray Long M.D. 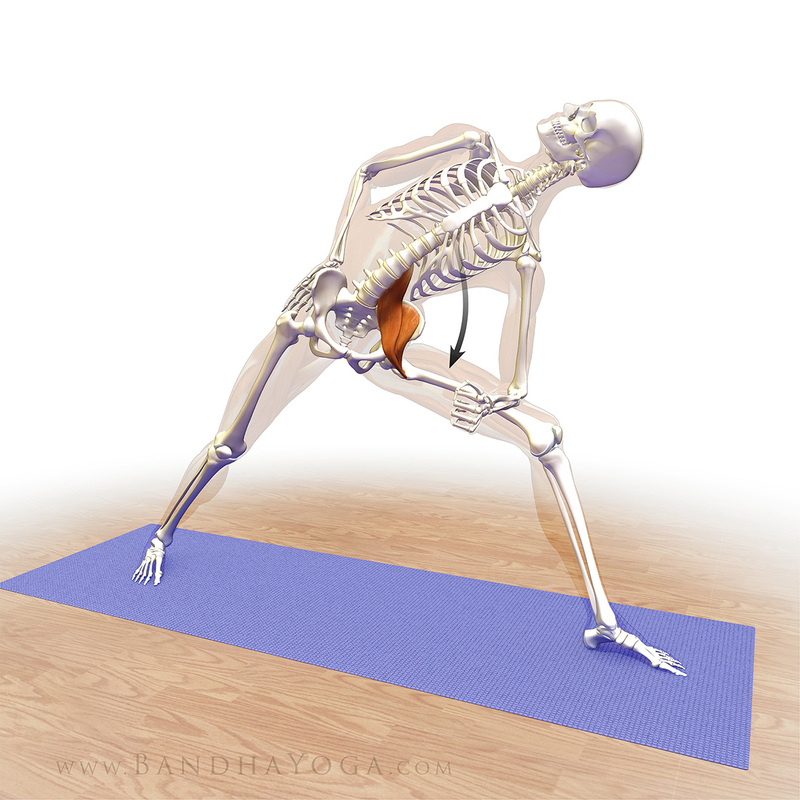 and YogaUOnline - Yoga Anatomy: 3 Tips to Helping Hyperextended Knees in Trikonasana. Illustrations by the Daily Bandha. 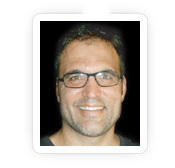 Author Ray Long MD, FRCSC is a board-certified orthopedic surgeon and the founder of Bandha Yoga. Ray graduated from The University of Michigan Medical School with post-graduate training at Cornell University, McGill University, The University of Montreal and Florida Orthopedic Institute. 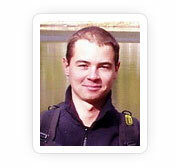 He has studied hatha yoga for over twenty years, training extensively with B.K.S. Iyengar and other leading yoga masters.